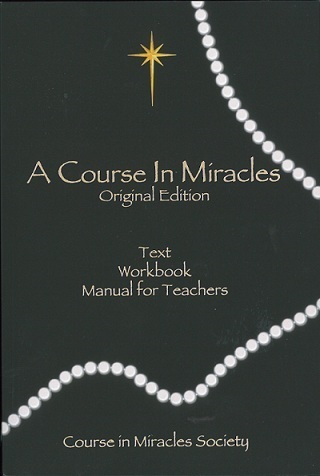 This page features A Course in Miracles- Original Edition, the 1972 edition of ACIM. The 1972 edition is sometimes referred to as the "Hugh Lynn Cayce Edition" or "HLC", because the editiors sent a copy of the manuscript to the son of the famed sleeping prophet Edgar Cayce when it had been completed. That manuscript was the first (or "original") manuscript of A Course In Miracles. 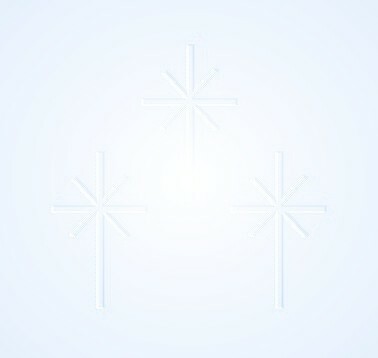 The great classic work, A Course in Miracles, is devoted to teachings about who we are, our relationships to God and with each other, and the actually mental nature of our bodies and the world. The Course is also about miracles, which students understand to be, in part, a shift in perception to healed vision. But miracles are more than a shift in perception, because the shift has consequences in the world as we see it. The Course is a self study educational program for retraining the mind that is spiritual, rather than religious, in its perspective. Although the Course uses Christian terminology, it expresses a universal experience, and its underlying ontology is reminiscent of ancient refrains, echoing the world's most hallowed traditions. The story of the Course began when Columbia University research psychologist Dr. William T. Thetford decided he had had enough of the intensely competitive and negative climate he was experiencing and declared to his colleague, Dr. Helen Schucman, "There must be another way, and I am determined to find it." She agreed to help. What ensued was a dramatic progression of waking dreams for Schucman, which culminated in October of 1965 with her experience of a voice which spoke clearly in her mind, saying, "This is a course in miracles. Please take notes." The dictation of A Course In Miracles ensued over the next seven years. Join our mailing list to receive OF COURSE, the Course in Miracles Society newsletter with articles of interest to Course students and information about upcoming events. Each day CIMS sends via e-mail a reading from the Text and the daily lesson, along with commentary. We would love to have you join our growing group of students who are using the dail mreading to deepen their study of the Course.